One of the rollers on my sliding door has decided that enough is enough and given up the ghost , but im struggling to find a replacement. any suggestions on finding a replacement or even a make as this would give me a starting place to begin the search. 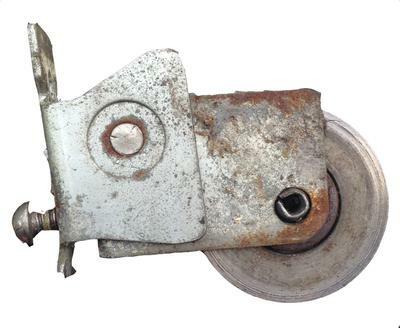 Thats not one of the more common screen door rollers that i have seen but like so many of them it uses a standard 1 inch diameter x 1/4 inch wide steel ball bearing wheel. Many window companies make the housings of their rollers a little bit special to "entice" you to buy spare parts from them. That does not mean you cant use someone elses rollers, even those with different housings to repair and replace them. I am assuming your door is a notched style screen door from the way the housing is made on your roller. In those doors you pretty much have an open channel on the top and bottom of the door. 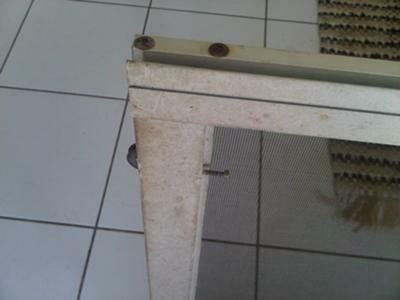 Your roller is locked in place with the same screw that holds the corner of the screen door together and the roller housing has a small height adjust screw just below the door fastener. You can often install the more common spring type housing in the photo I uploaded as a replacement. You screw them into the top of the channel with a small sheet metal screw. They can be located close to the corners of the door and the height is adjusted manually by bending the spring from time to time. Or you can drill a hole through the channel, and use a long screw with the sharp tip ground down as an adjusting screw. 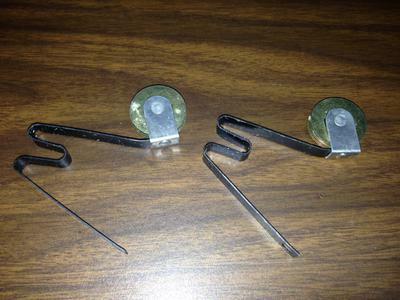 I uploaded a picture of a notched style screen door, with these kind of adjusting screws installed, so you can see what I mean. The same spring style rollers can also be installed in more common mitered style screen doors. I also uploaded a see through view so you can see how the adjusting screw locks the roller in place and acts as an adjusting screw at the same time.